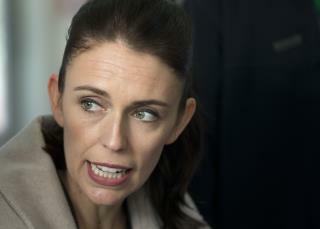 (Newser) – New Zealand's prime minister made an emotional apology Monday to the family of a British tourist who was murdered in New Zealand. Grace Millane, 22, graduated from college and then started in Peru what was supposed to be a yearlong trip around the world. She traveled from there to New Zealand on Nov. 20, but she disappeared on Dec. 1; her family became concerned when they didn't hear from her on her birthday the following day. A week after she was last seen, police detained a 26-year-old man believed to have been seen with Millane on Dec. 1; he has since been charged with murder. On Sunday, authorities found a body they believe to be Millane. "Your daughter was supposed to be safe here," Jacinda Ardern said during a post-Cabinet address, per ABC.net. What kind of monster would do this to that poor young girl? Travel with friends always, the natives know you’re a tourist. And the natives are not harmless. Funny, Newser throws a bone every once in a while to the foreign trolls, yet they only seem interested in commenting about our politics. Here is a story for the libtard antipodes yet they have not commented.